Well, here’s an interesting twist in the ongoing saga of Silicon Valley and diversity: A (male) former Yahoo employee has filed a lawsuit alleging that Marissa Mayer and other powerful women at the company were engaging in gender discrimination (against men). Many of the specific claims in the suit revolve around the company’s newish performance review system, according to the San Jose Mercury News (h/t to the Cut): “Mayer encouraged and fostered the use of (an employee performance-rating system) to accommodate management’s subjective biases and personal opinions, to the detriment of Yahoo’s male employees,” according to the suit, which was filed by former Yahoo editor Scott Ard, currently editor-in-chief of the Silicon Valley Business Journal. This is actually the second such lawsuit this year; the previous one also took issue with the new performance review system and claimed it was vulnerable to bias against men. The Mercury News notes that, according to Yahoo’s diversity reports, the percentage of women in leadership positions rose 23 to 24 percent between 2014 and 2015. Less immediately striking but in some ways more interesting is the lawsuit’s allegation that the performance review system was, in effect, a way to conduct layoffs without the notice required by California law—which wasn’t related to the gender claims. 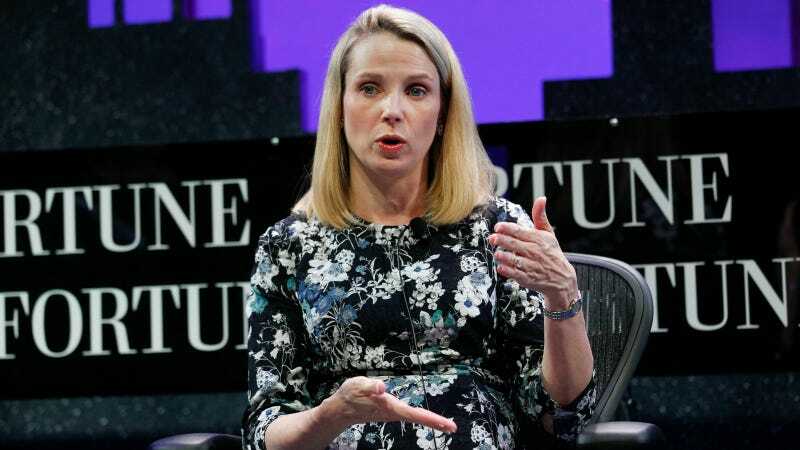 “Marissa Mayer became CEO on a wave of optimism and then engaged in a sleight of hand to terminate large numbers of employees without announcing a single layoff,” the suit said. No doubt women in tech are going to get some very chill, casual requests for their opinions about this lawsuit.